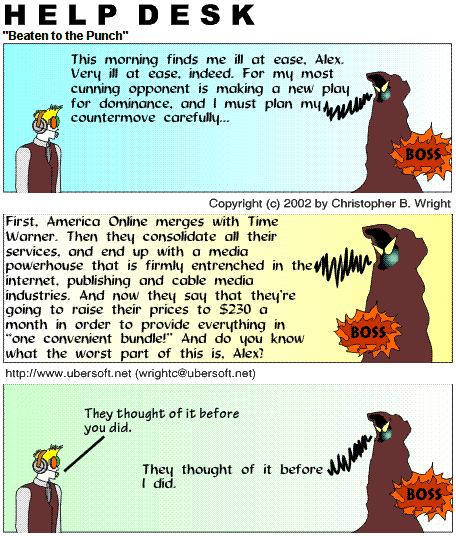 BOSS: First, America Online merges with Time Warner. Then they consolidate all their services, and end up with a media powerhouse that is firmly entrenched in the Internet, publishing and cable media industries. And now they say that they’re going to raise their prices to $230 a month in order to provide everything in “one convenient bundle!” And do you know what the worst part of this is, Alex? ALEX: They thought of it before you did. BOSS: They thought of it before I did.